Judge James E. Snyder (’88) of the Circuit Court of Cook County was elected President of the Illinois Judges Association. The IJA consists of over 1,250 current and retired judges. 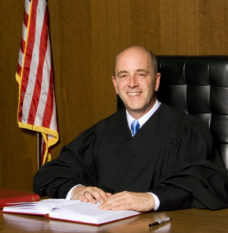 The Association supports judicial excellence and professional development and judicial education, fosters public confidence in an independent judiciary, works to preserve the independence of the judiciary by educating the public and students, and promotes a diverse judiciary that administers justice in a fair and impartial court system.